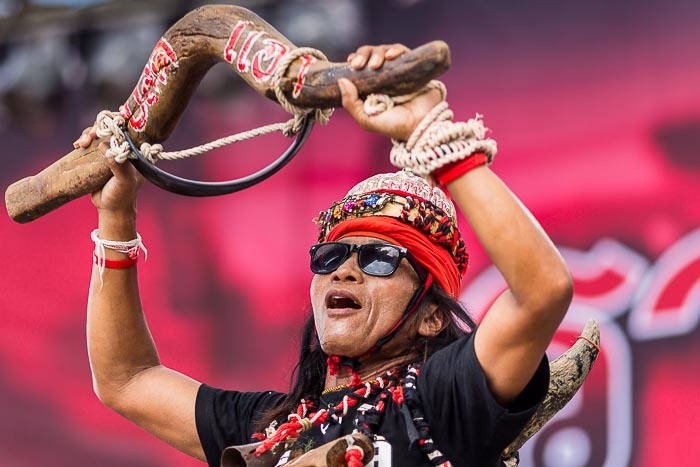 A Red Shirt supporter holds up a replica water buffalo yoke during a Red rally in the Bangkok suburbs Saturday. Some of the Yellow Shirts and members of the Thai "amart" (elite class) refer to the Red Shirts as "water buffalo" because the beast of burden is supposedly slow and stupid. It's a derogatory and hateful term. The Red Shirts have reappropriated the term (in much the same way some members of the gay community have reappropriated "queer") because the water buffalo is also strong and hard working (and for the record, a water buffalo is neither slow nor stupid). Things are getting weird in Thailand. In this case, weird isn't good. The Constitutional Court ousted Prime Minister Yingluck Shinawatra on Wednesday for allegedly acting in an unconstitutional way when she made personnel decisions early in her tenure. In what could be seen as piling on, on Thursday the National Anti Corruption Commission recommended her impeachment for allegedly turning a blind eye to corruption in the rice pledging scheme unrelated to the constitutional issue. The New York Times and Wall Street Journal don't agree on much, but both called the changes in Thailand this week a "coup." The Wall Street Journal said, "The situation would be laughable if it weren't so dangerous." Damn straight. 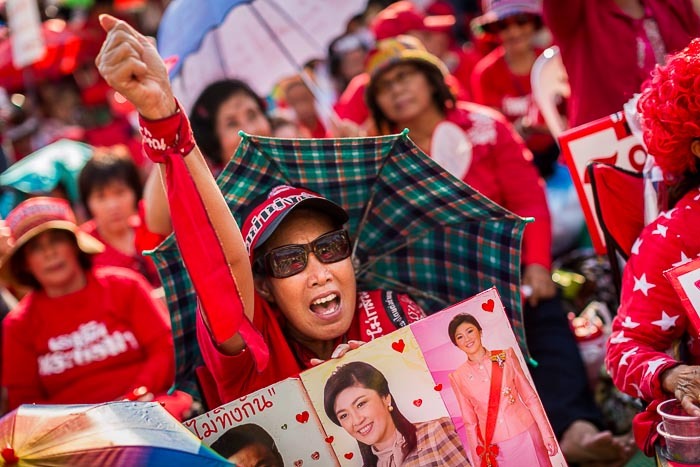 Red Shirt supporters of ousted PM Yingluck Shinawatra cheer for her Saturday. This is the third consecutive elected government ousted by the courts. All three ousted governments were under the patronage of Thaksin Shinawatra, himself ousted in a military coup in 2006. Thaksin is now living in self imposed exile in Dubai (among other places) and reputed to run Thailand by Skype. The only government not ousted in a coup (legal or military) was the unelected government of Abhisit Vejjajiva, which came to power after a Thaksin government was ousted in a legal coup. The Abhisit government was paralyzed by months of Red Shirt protests in 2010 before being thrashed by Pheu Thai and the Red Shirts in an election in 2011. “Just because you're paranoid doesn't mean they aren't after you” ― Joseph Heller, Catch-22. The Red Shirts are feeling a little paranoid right now and they are in the Bangkok suburbs this weekend planning their defense of Thai democracy. Red Shirt leader Nattawut Saikua greets supporters as he walks into the Reds' protest Saturday. There was a time, not that long ago, when the "civil war" was being used in hushed terms by Red Shirts and some foreigners. No longer. Saturday, Red Shirt leader Jatuporn Prompan said, the appointment of an unelected government (Suthep's goal) "would be the beginning of a disaster for the country that will lead to civil war." I hate to leave you hanging, but I've got nothing else. Now we wait.